I hope your Thanksgiving is filled with family, fun, and possibly vampires (or at least cupcakes). p.s. don’t forget to enter to win a $10 Amazon Gift Card! Hey, I love the Twilight movies too. Yep. *ducks with embarrassment* Have a great Thanksgiving! Oh and…hmmm…think I noticed a bit of a pattern with Vampire Diaries. Of course, I could be mistaken lol!! LOL…wow, there is alot of VD in there. I can't blame you, though. I just did a DVD marathon of the series, and I'm proud to say –should I be proud? I'm not sure– that I've crammed most of the lines and scenes. 😀 Oooh, Sky will be showing Breaking Dawn part 1, so I'm looking forward to that. 🙂 Happy Thanksgiving! I'm really curious how #7 will go. My son is 14. He rolls his eyes everytime I mention 'romance' in a sentence. I'm definitely not judging. 🙂 I'm still just so excited Daemon is back in the running for top vampire. Yay! Me too. Stefan needs to go away for a very long while. I'm totally with you in the "Watch The vampire Diaries" part lol. Its absolutely my favorite show. I watched season 3 twice. Once when the show aired and then again over the summer with my Mom and sister. Loving season 4! this show just gets better and better. Have fun. We all need some TV time. I'm hoping to catch up on a few series too and get some writing and reading done. Happy Thanksgiving! 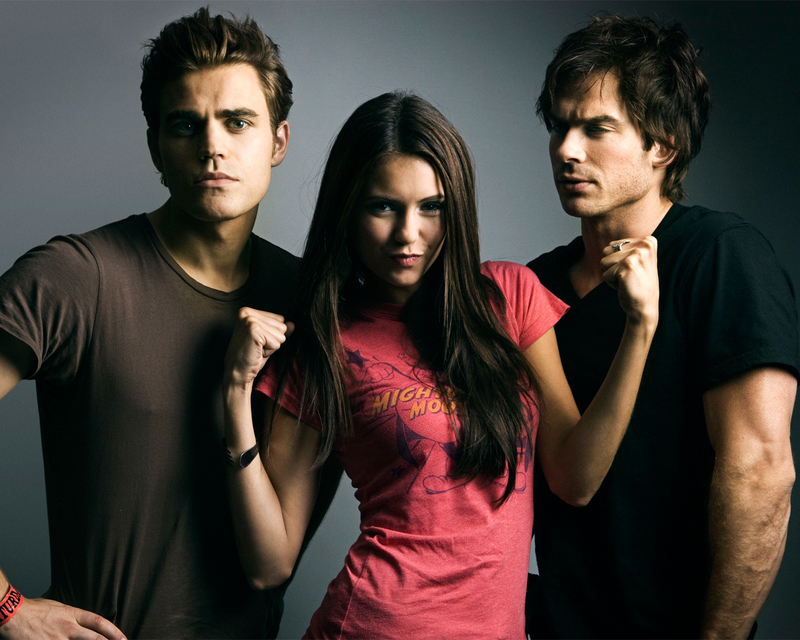 Yeah Vampire Diaries! Although Once Upon a Time has surpassed it as my favorite TV show. When you make some Steampunk cupcakes, let me know. I'm a bit obsessed with Vampire Diaries! It's ridiculous. But true nonetheless! Okay, we watched Abe Lincoln, Vampire Slayer and laughed our fool heads off. Picture Abe as a Matrix-spin-dancing-axe-wielding-samurai. It was just tooooo absurd!